The devices of the RM475 series in conjunction with a terminating device are designed to monitor a closed and voltage-free loop for interruption (series resistance) and for short-circuit (cross resistance). 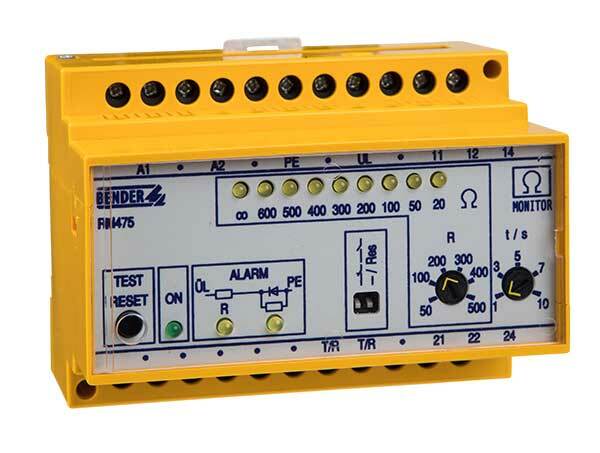 The RM475 version has a continuously set response value for series and cross resistance. The response time is max. 1 s.
The response value for the series resistance of device version RM475LY can be adjusted between 50…500 Ω. The response value for the cross resistance for this version, however, is continuously set, too. The response time can be set between 1…10 s.